Earlier this week, the Stars Group officially announced that it had purchased 62% of CrownBet Holdings. This gives Stars Group the controlling share of one of Australia’s largest bookmakers. 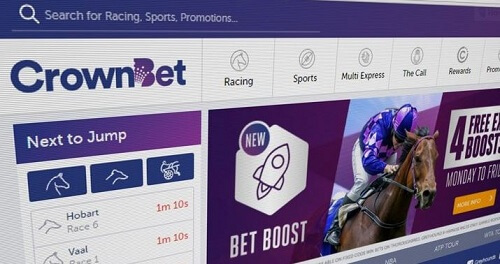 CrownBet Holdings was one of the fastest growing companies in Australia’s gaming market, which also happens to be one of the most lucrative on earth. The Stars Group reportedly paid AU$152.1 million for its 62% share of CrownBet. Stars Group is reported to have made the purchase in cash that was already on its balance sheet. This means that the company hasn’t had to take on any additional debt in order to complete the purchase. This is obviously very good news for the company. In addition to this, the takeover was a relatively smooth process. There was no serious drama surrounding the acquisition of CrownBet, and the company was able to partner with many of the other shareholders to ensure the process was completed. The current CrownBet CEO, Matthew Tipp, is set to retain his role going forward. The acquisition has also been approved by the Northern Territory Racing Commission, on the condition that certain standard acquisition conditions will be met. The Stars Group is hoping it will be in the headlines for positive reasons in 2018. The group, which was formally known as Amaya, is known for running two of the biggest online poker sites. These are PokerStars and Full Tilt Poker. However, recently the company has been making headlines due to its former chairman and CEO, David Baazov, and his court battles. He has been accused by securities regulators in Quebec, Canada, of attempting to increase the price of Amaya’s shares before the company bought PokerStars for over AU$5 billion. The scandal is likely one of the driving forces behind changing the name from Amaya.